Diamond Details:Round brilliant cut white diamonds, of F color, VS2 clarity, of excellent cut and brilliance, weighing .37 carat total. 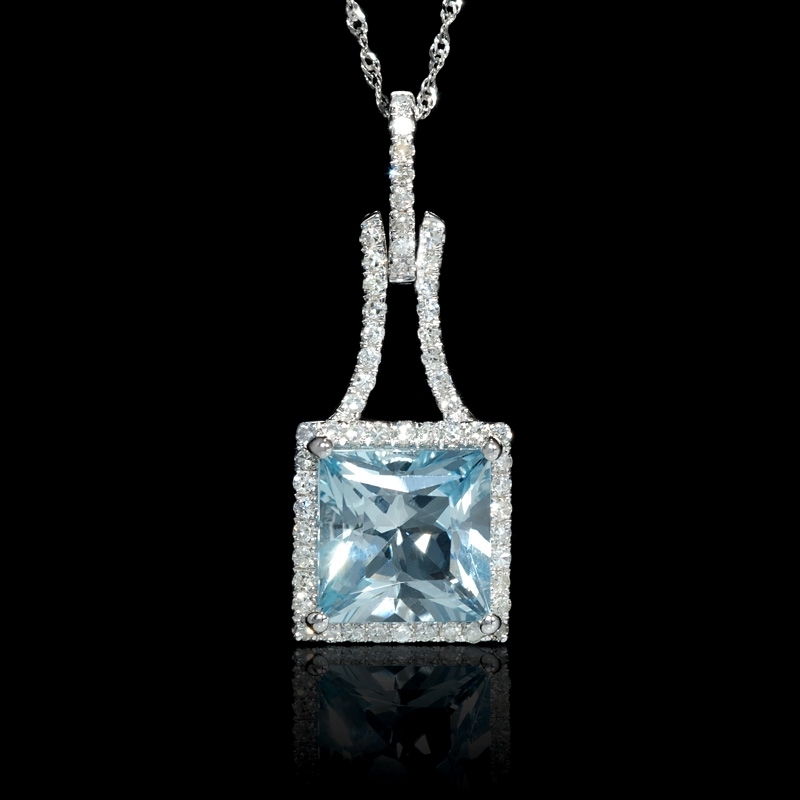 Gemstone Details:1 square radiant aquamarine stone, of exquisite color, weighing 3.00 carats total. 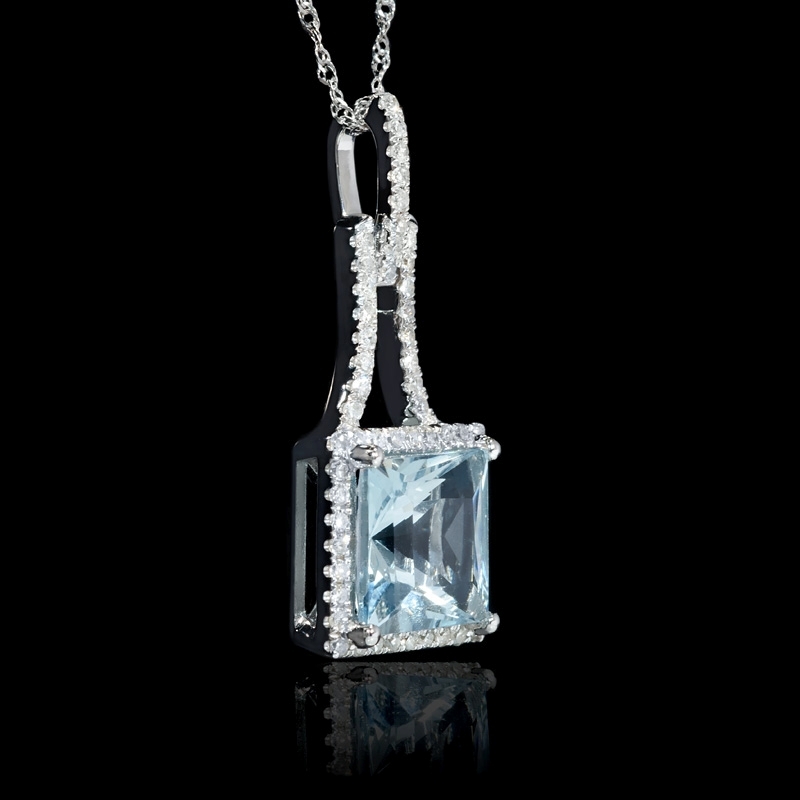 Pendant Measurements: 29mm in length and 11.5mm at the widest point. 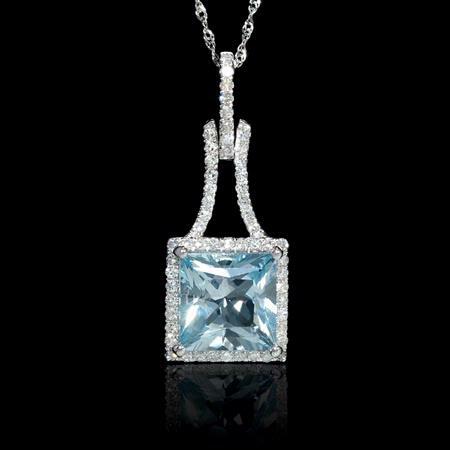 This extraordinary 14k white gold pendant necklace, designed in Italy, features 1 square radiant aquamarine stone, of exquisite color, weighing 3.00 carats total and round brilliant cut white diamonds, of F color, VS2 clarity, weighing .37 carat total. 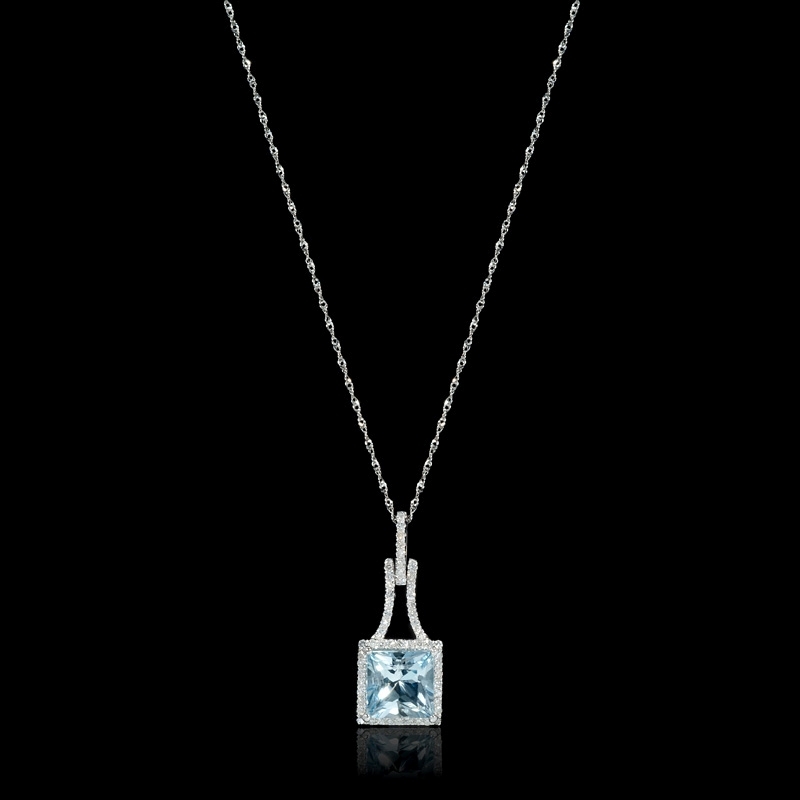 The chain measures 18 inches in length and the pendant measures 29mm in length and 11.5mm at the widest point.